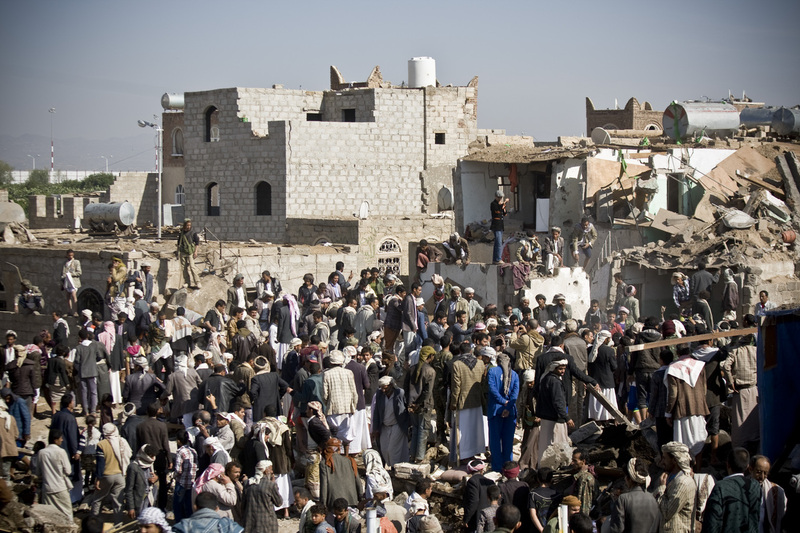 SANAA, June 12 (Reuters) - Saudi-led coalition air strikes killed at least six people, Yemen's state news agency Saba said on Friday, and destroyed part of Sanaa's Old City, a UNESCO World Heritage Site. The raid, which began in the early hours, also injured several people, reduced five houses to rubble and damaged other buildings, the Houthi rebel-controlled news agency said. The Old City has been inhabited for nearly 2,500 years and has a high density of unique ochre and white, mud-brick, tower houses, labyrinthine souqs, mosques and hammams or bathhouses. "We heard screaming in the alley at around 3 a.m. (midnight GMT) after Saudi strikes hit the area and ran outside to find three houses all destroyed," Abdullah, an Old City resident, told Reuters. "We started digging to get the victims out and six hours later managed to pull out only five (bodies) all from the same family," he said. UNESCO condemned the bombing, noting that historical buildings, monuments, museums and archaeological sites across the country had all suffered since the start of the conflict. "I am profoundly distressed by the loss of human lives as well as by the damage inflicted on one of the world's oldest jewels of Islamic urban landscape," UNESCO's Director General Irina Bokova, said in a statement on the agency's website. For more than 11 weeks, an Arab military grouping led by Saudi Arabia has been bombing the Houthis, now the dominant group in Yemen, in a bid to restore the exiled president to power and support local fighters in battlefields nationwide.